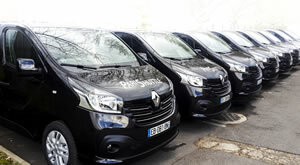 Since its creation in 1997 ,Parishuttle has become widely regarded as the number one airport transfer provider in Paris. Providing a shuttle service transfer Paris to Charles de Gaulle & Orly airports,our drivers' task is to welcome you at a specific point in each terminal. For private transfers, our drivers wait for you holding a signboard labelled "Parishuttle". Parishuttle provides high quality service at competitive prices. 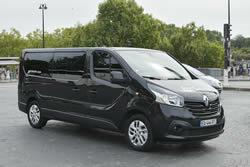 Parishuttle 8-seater mini vans are comfortable, air-conditioned, non smoking and equipped with GPS. They are silver-grey and have Parishuttle marked on their sides.